If you are the owner of an OKI printer and have more than one paper tray to print from you may find that the additional paper trays appear to be missing from the printer setup. More than likely the issue will be that the printer driver in the windows control panel doesn’t know about the additional paper trays. 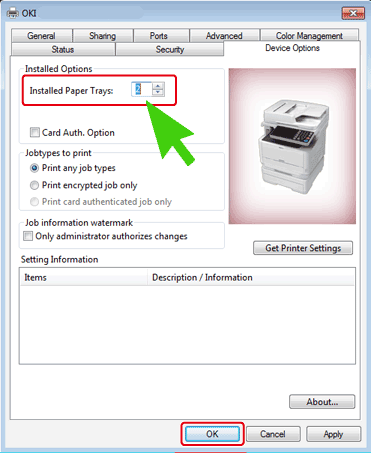 Here’s how to get the Windows Printer driver to recognise the additional paper trays.